Click here to make sure you have a Safe Scrub Line Clearance. I can Narrow Axle During Drop. Ideal for Some Disc. 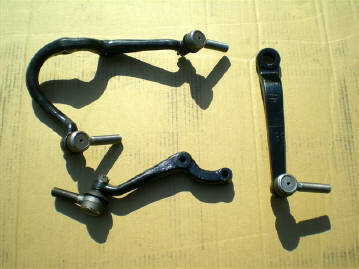 Brake Kits. 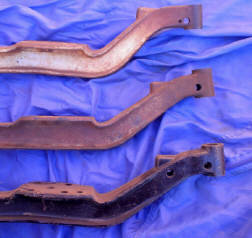 Axle measuments for these 3 axles. May have cores in stock. Important!!! Make sure you have a Safe Scrub Line Clearance. 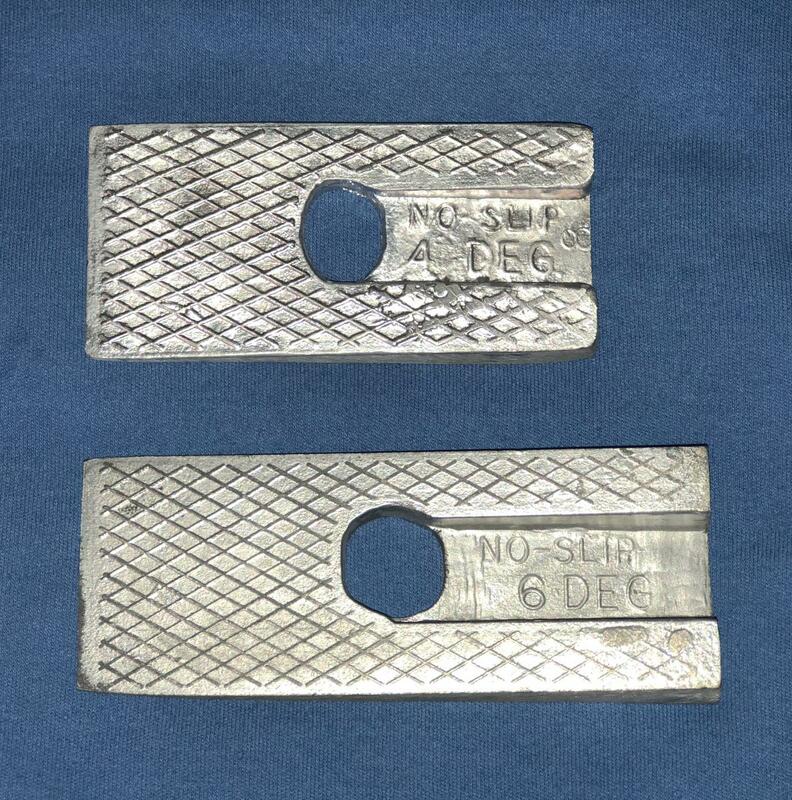 Some years have a bearing, some have a thrust washer. 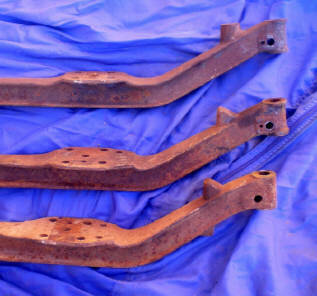 1955-59 Axles are $350 plus shipping to drop your or exchange. 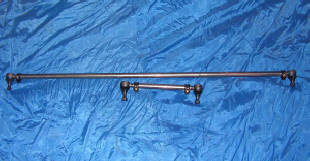 $350 plus shipping to drop your axle. 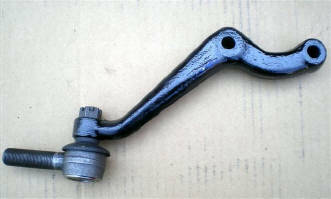 Modified Steering Arms with new style ball joints. 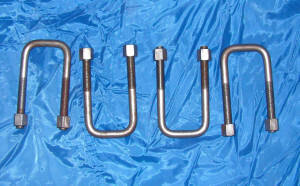 This will lower your tie rod to go under the springs. 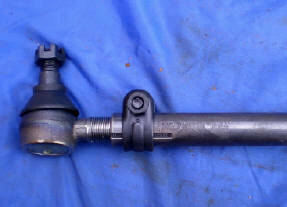 I will modify your steering arms for taper ball joints for $100. Ball joints not included. 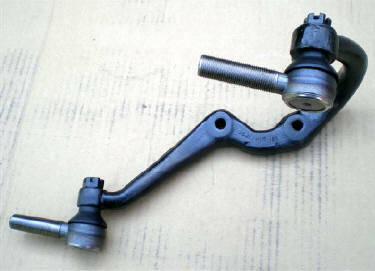 $80 pitman arm to left steering arm. 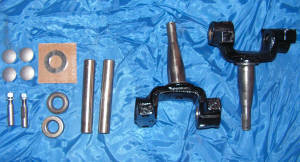 1947-1954 Chevrolet Rear End Lowering block kit. 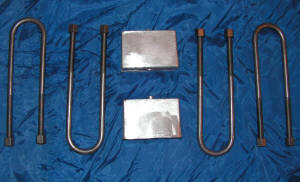 Kit comes with 2ea 1-34" X 3" Blocks 4ea U-bolts and 8ea nuts. 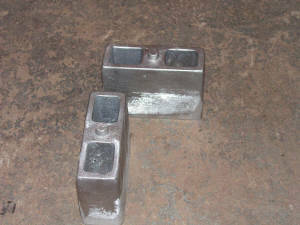 Square top u-bolts are for original rearend. 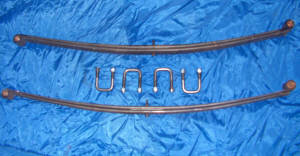 Round top u-bolts are for later model rearend. 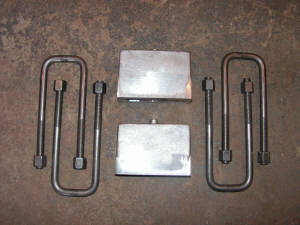 1941-46 Chevy pickup 3" lowering block kit for stock rear end. 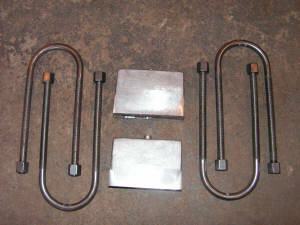 $35 for set of 4 with 8 nuts. Please state year needed.